You like Haze but want that quicker flower time but no comprimise on taste or high look no further than OSH Jones. 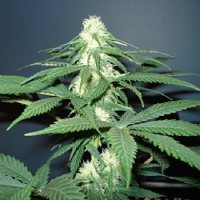 Old School Hazy Jones Feminized Marijuana Seeds by Connoisseur Genetics Seeds: You like Haze but want that quicker flower time but no comprimise on taste or high look no further than OSH Jones. 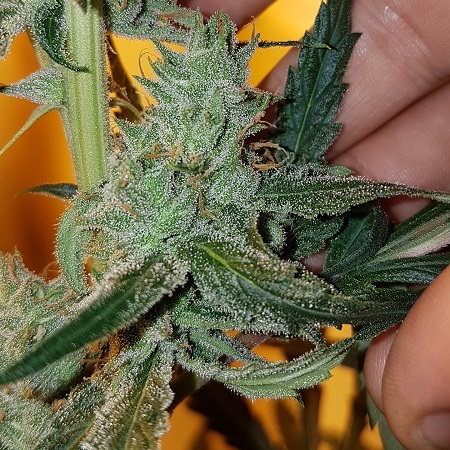 For this strain i took a SSH pheno i selected from a vintage pack of SSH from Mr Nice Seeds that was very Haze dom tasting spicy pine and have slapped her with the Casey Jones reversed to create a Haze croppers dream. 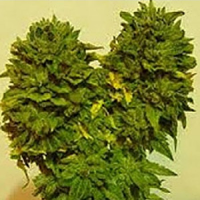 The Old School Hazy Jones throws out huge yielders getting 5 zips a plant no problem with some early topping to create a nice few heads and you experienced growers could pull 9 zips a plant no problem with your magical training/topping skillz. 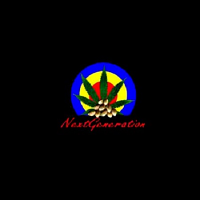 Potency leans more to the sativa side perfect for any energetic activitys but dont over due it because this aint no daytime smoke and will have you really flying high/high with no ceiling if your not a heavy weight.